Those gifts may seem spectacular to us. In actuality, they were ordinary gifts often given to kings as tribute. The wise men recognized Jesus as a king and treated him as such. This gesture must have meant something special to his parents Mary and Joseph. Many have speculated as to the symbolism of the three gifts: gold being a symbol of kingship; frankincense as a symbol of deity; myrrh (an embalming oil) as a symbol of death. To me, the symbolism is interesting but misses the point. Instead, I appreciate the gesture of giving itself, no matter what the gift. The wise men were giving something of value to be used for – as they saw it in their eyes – the King of the Jews. The cool thing is we can follow their lead and do the same. We all have something of value to give. Maybe that is our wealth. For the wise men, those gifts certainly held monetary value. If that is the route you choose, there are certainly many churches and charitable organizations that are doing tremendous work. But when I read the Biblical terminology of “giving gifts”, my thoughts don’t always turn to money. I’m often left pondering a different angle. Instead of money, could the gifts I’m to give be the talents and abilities at my disposal? Does God call me to freely giving of those as well? Have you ever thought of how you’ve been gifted? When I look at my own life, certain things do stand out. Through the years I’ve learned that I can teach. I have the ability to write. I’m a good listener. I can organize, lead and coach a team. I’m able to counsel people about life and spiritual issues, including those related to money. I have skills in building and a few handyman areas. And in the last few years, I’ve developed some skill in the kitchen cooking for the family. Recognizing the gift is just part of the challenge though. The second step is where we often break down. It’s one thing to know what you are good at. It’s quite another to use that gift effectively or at all. I’ve seen it time and time again. We have the gift – we just choose not to give it. Why is that? I’m sure it’s different for each person. Maybe fear, apathy or time constraints keep the gifts in our holster. But that’s not the expectation, at least as I see it laid out by God. When God wanted to build the tabernacle in the Old Testament, He commanded the Jews saying, “All who are skilled among you are to come and make everything the Lord has commanded” (Exodus 35:10). Did they ignore that command? No. Those with the skill came willingly and used their talents to build an awesome structure. I Peter 4:10 tells us that “Each of you should use whatever gift you have received to serve others, as faithful stewards of God’s grace…”. And perhaps Matthew puts it best of all when he quotes Jesus as saying, “Freely you have received; freely give” (Matthew 10:8). God has graciously gifted you with talents and abilities. He wouldn’t have given them to you for no reason. His expectation is that we not waste them. Those are easy questions to ask but challenging to answer. But, if you can work through them and overcome what’s holding you back, you will be following in the tradition of the wise men. You will be giving to others, willingly without expectation of return. And you will be giving gifts fit for a King to use for His purpose. Questions for Discussion: Which gift or talent do you wish you could utilize more? What holds you back from using your talents? How do you plan to use your gifts and abilities in the coming year? 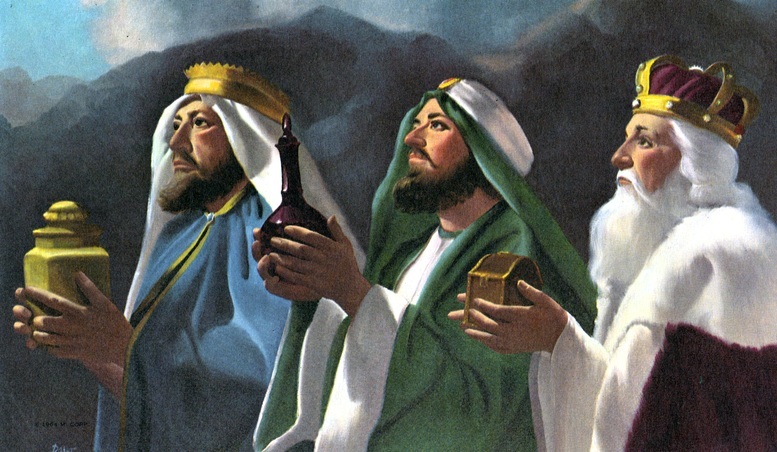 Hi, Do you mind if I use your image of the three kings on my own blog. I used to be incredibly involved in my parish’s youth ministry and would speak and lead retreats for the youth. I miss giving my talents in that way and hope to do more of that in this new year! Lisa recently posted…Lisa vs. the 2014 Goals – How Did I Do? Cool angle, Brian. I give very little these days: time, effort, or money. But all it takes to change that is a little perspective. I understand DBF. It takes so much effort sometimes and the result of our giving is often negligible (at least as perceived by our eyes). I just continue to believe it will have an impact whether or not I see it. Surely next year, I will be more willing and open to help others in need. I will also be more sensitive and productive. When colleagues ask me for help like in copy editing, I will give more than what is expected, Never leaving the person with doubt or assuring that everything is well understood. That’s one on my lists. I was just reading a book by Steve Harvey called Act Like a Success, Think Like a Success. In it he talks about each individual’s gifts. How we have a birth right of sorts to use it. I had to think long and hard about mine, and I think one of the reasons it’s so hard to declare to the world is it feels like bragging…or maybe someone would then react and say, “uh, yeah right, like that’s your gift.” You know, rain on your parade. But in the spirit of this blog I’d say I think one thing I have talent in is storytelling. I think that’s why there are aspects of editing I like but many I don’t, and aspects of writing I like but some I don’t. For instance I LOVE writing my blog, and writing for other blogs if I get to keep my own point of view, but the second I was hired to write about a generic boring topic, I absolutely hated it and didn’t do well. So I think there are many vehicles I use (writing, my videos, maybe speaking in the future) but storytelling is what I do best. What do you think? 🙂 What is yours?